This page describes migrating an existing Android Cloud Endpoints version 1.0 app to Endpoints Frameworks for App Engine. Note that this page refers to Endpoints version 1.0 as Endpoints Frameworks version 1.0 and new Endpoints Frameworks for App Engine as Endpoints Frameworks version 2.0. Better integration with App Engine features, such as custom domains. Endpoints Frameworks version 2.0 doesn't affect the interfaces to your API. Existing clients continue to work after migration without any client-side code changes. The following steps guide you through moving Android Studio Endpoints Frameworks version 1.0 projects to Endpoints Frameworks version 2.0. The guide migrates an Android Studio project with a Endpoints module. Use the following high-level task list as you work through the migration guide. This migration guide assumes you have an existing Android project using a Google Cloud Platform (GCP) module. Optional: Download the sample code. Migrate to Endpoints Frameworks version 2.0. Endpoints Frameworks version 2.0 dependencies use Guava 19 and Android Gradle build plugin com.android.tools.build:gradle:2.3.3 uses Guava 18. Add Guava 19 to the build script dependencies closure of the build.gradle to override this transitive dependency. Note: The legacy changed sections are marked with LEGACY: and v2 sections are marked with V2:. In Endpoints version 1.0, you used the Gradle plugin, gradle-appengine-plugin, to generate an API Discovery Document. In Endpoints Frameworks version 2.0, you use the endpoints-framework-gradle-plugin to generate a Discovery Document. This build script uses the client-side plugin, com.google.cloud.tools.endpoints-framework-client. The App Engine standard environment Gradle tooling was updated. Endpoints Frameworks version 1.0 projects used the gradle-appengine-plugin in com.google.appengine, and Endpoints Frameworks version 2.0 projects use appengine-gradle-plugin. This build script uses the server-side plugin, com.google.cloud.tools.endpoints-framework-server. // is not required for a migration. In Endpoints Frameworks version 2.0, the servlet-class changed from SystemServiceServlet to EndpointsServlet. The URL pattern was updated from /_ah/spi/* to /_ah/api/*. 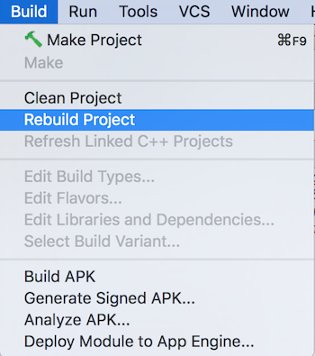 Finally, use the Android Studio build list to clean and rebuild the Android Studio project with the new dependencies. Learn more about the available tasks for the Endpoints Frameworks Gradle plugin. To get started using these and other Cloud Endpoints Frameworks 2.0 features, go to the Java page about Endpoints Frameworks for App Engine.